Any cheese hounds out there? This post is for you. The beauty of Italy is the regional bounty of genuine, typical products. And if you find yourself in Tuscany (Florence, Siena, Lucca, Prato, Pisa, etc) you may find yourself overwhelmed by the amount of selection in the shops or food markets. Even in the tiny region of Tuscany, there is a plethora of local cheeses that are produced artisanally. Artisanal is not just some pretentious food word, although it is thrown around like it is. There is the textbook definition of artisanal, but to me it indicates products made from scratch, by hand, minimal mass machinery, with local unadulterated raw materials by food architects who inject a little bit of passion while respecting the history and identity of the product at hand. Artisanal foods are arduous to craft and the price tag reflects it. But it tastes so worth it. I have been known to cry with pure joy over artisan cheese on my various jaunts and visits to working farms and creameries throughout Italy. I would one day LOVE to host a food tour, pitting industrial products against artisanal ones to convince people that yes- that price difference is very much worth it. Life is…not too short, but too great to eat bad, plastic foods. 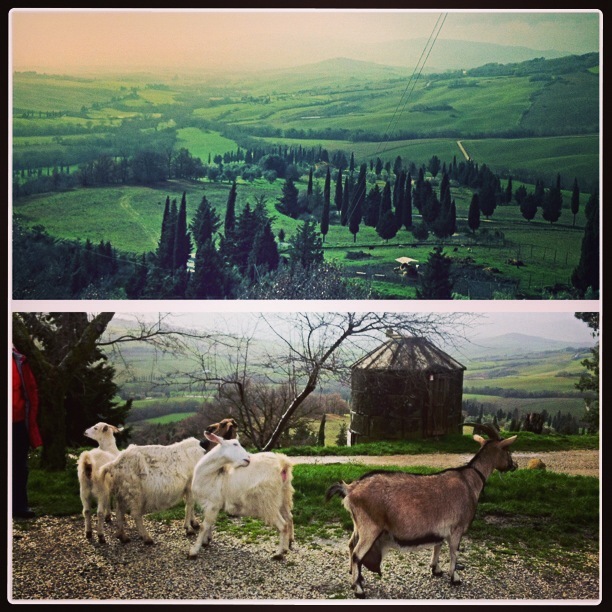 Tuscany is synonymous with sheep’s milk cheese aka pecorino. Pecorino is the quite possibly the cheese icon of this roller coaster of rolling Tuscan hills Italian food mecca. One milk (sheep’s) and a wide array of curdled, cultured and aged goods. When you find yourself in Tuscany, here are the cheeses you need to be on the look-out for (or taste on a food tour). Pecorino Baccellone- Aka Primosale, is a white, creamy soft cheese intended to be consumed while still young, is created by salting and curing in a sort of brine for 24 hours before maturing to completion in 5 days or less. Perfect for eating on its own with some chutney or mostarda. Try a pepper jam! A light red wine or an aperitivo wine like Pecorino from Le Marche would be a tasty match. 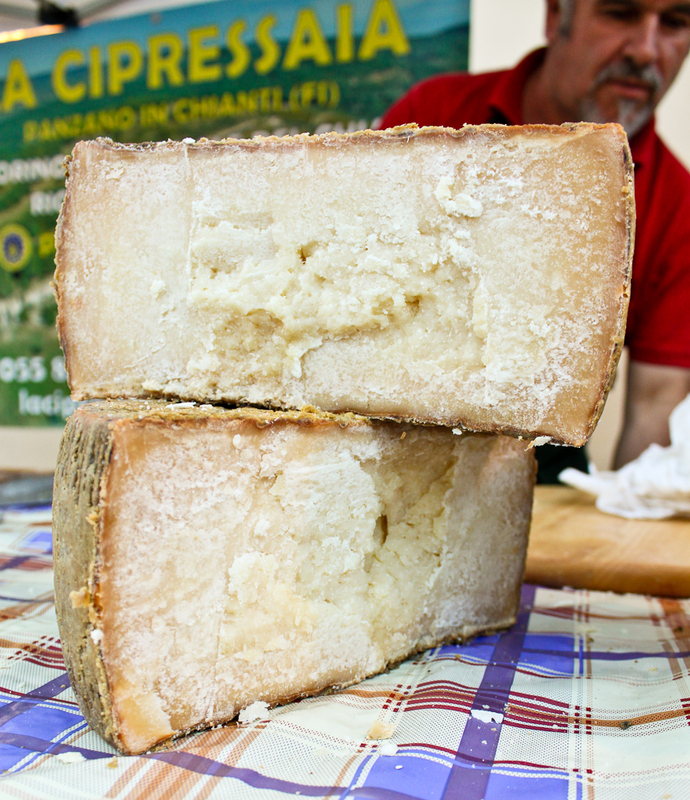 Pecorino della Garfagnana-This pecorino is made from wild, local heritage breeds of sheep. If you are a food traveler, then you may notice this word attached to foods here and there: “della Garfagnana” and this is a Slow Food Presidia. That means this is an area that is promoted for gastronomic heritage and foods that come from here are treated with great pride. And please don’t take this as a plug for “Slow Food International” aka the big business of the artisan food industry. As much as I cringe at their hypocrisy and resent having to bite my tongue, I can’t help but appreciate some aspects like Presidia. This cheese is a bit harder and more savory as it is aged for around 30 days before it is ready to be enjoyed with lets say some local red wine from Montecarlo. Pecorino di Montagna- Always a pasteurized cheese then cultured with bacterial ferments. The great part about this cheese is that albeit aging for a pretty limited amount of time, it can be fairly complex and can stand up to aged counterparts in flavor and intensity as it is made in the mountains and usually has an ash rind or morchia (which apparently translates into oil sludge but that’s not right.) The reason that culturing this cheese in the mountains is special is because of the humidity variations which then affect the products’ acidity and overall taste. I think this cheese would be great with an aromatic white wine or even a mellow Chianti. Pecorino di Pienza- This cheese is produced in the scenic agricultural area near the Montepulciano wine denomination. I’ll get to the point- you should have a Rosso di Montepulciano with this Tuscan cheese star. Pienza is very special to me for sheep’s milk cheese since I think the terroir (a snobby term for the land) is very rich and lush where the sheep graze on and thus produce a cheese with unique flavor profiles. This cheese is aged just a bit as it is usually incubated for a month-2 months. This cheese will taste different from let’s say Pecorino della Garfagnana even if aged for the same amount of time because the land in which these sheep live and graze is unique from each other. Also, the environment for cheese making is markedly higher in humidity thus affecting the acidity in the end product. This is what I find so fascinating about Italian food and why I am totally in support for safeguarding genuine Italian products and their respective territories. 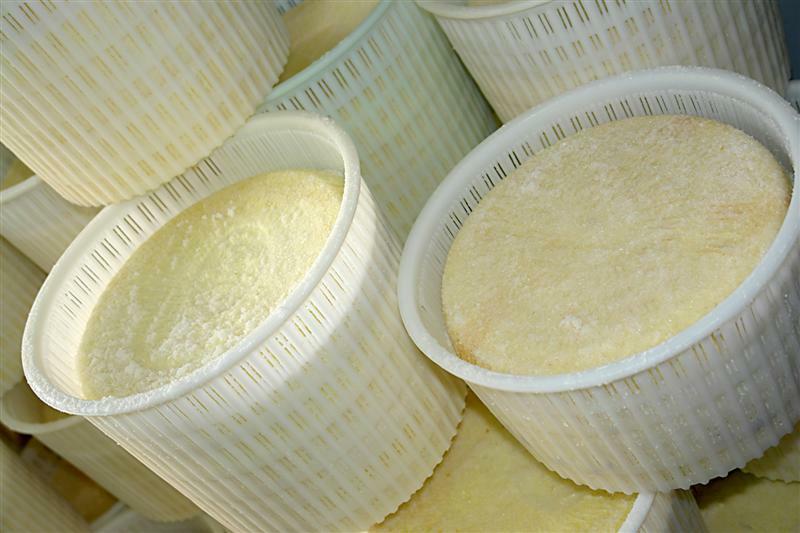 Pecorino Senese- This pecorino cheese is made from low temperature processing and can be eaten almost immediately. It can be prepared either salted or unsalted and is usually released after 20 days of age. This is a buttery, compact, soft and young bright cheese. I would have this cheese with a dry white wine from Tuscany like Vernaccia di San Gimignano. Pecorino Toscano- one of the many forms! Pecorino Toscano DOP– DOP is a sort of denomination/indication of gastronomic identity for a food product. It has a consortium that safeguards its recipe in a way and stands for “Denomination of Protected Origin” (Denominazione di Origine Protetta). Pecorino Toscano is a general term to indicate sheep’s milk cheese from Tuscany. Stagionato per 12 mese means aged for 12 months and Fresca means fresh- since this is a general term to indicate the regional product, you may find it aged or fresh. I recommend the aged varieties because they will be nutty, savory and rich in umami crystals. Perfect to pair with a Chianti Classico Reserva from my favorite Chianti satellite: Castelnuovo Berardenga. Interested in visiting some cheese farms in Tuscany? 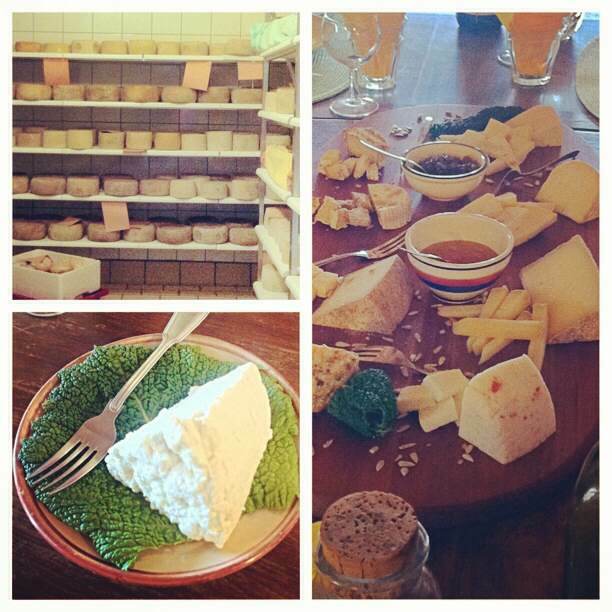 Cheese tasting on food tours? More suggestions for choosing wines (i.e. from which producers?) to go with these cheeses? Drop me a line.